A foil-wrapped salmon dinner means less cleanup when you use foil. Though an undeniably labor-saving cooking method, broiling can overdry or break down some foods, including non-fatty, flaky-fleshed fish. 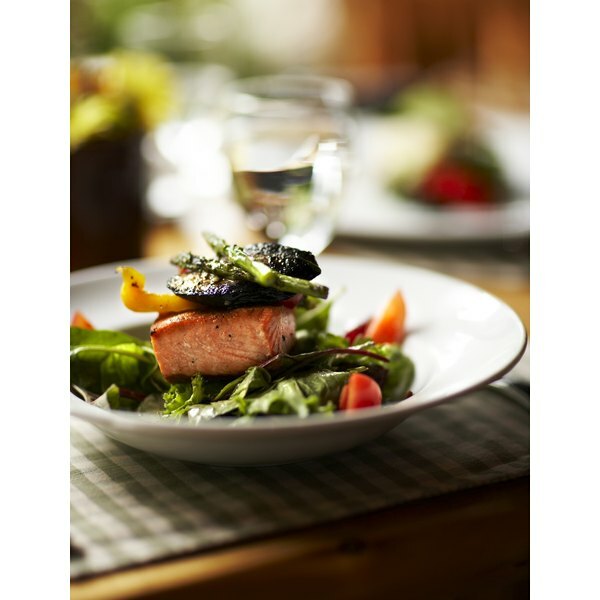 The naturally oily and firm quality of the salmon, however, ensures that it will stay moist and intact even after broiling. Little preparation is needed for this cooking, especially if you use salmon fillets. If possible, buy 1-inch-thick salmon fillets already cut to single-size portions of about 6 ounces each. Make individual packets for each guest. Set the broiler pan 5 inches below the broiler and turn the broiler on to preheat it. Rip out a rectangle of aluminum foil, about 40 inches long, from the roll. Lightly spray the top with cooking spray. Spray the salmon fillet on both sides with cooking spray. Set the salmon fillet, skin side down, just off-center of the aluminum foil rectangle. Season the salmon with salt and pepper. Top the fillet with butter and lemon slices, if desired. Fold the other half of the foil rectangle over the salmon fillet, crimping all of the edges tightly shut. Repeat with remaining fillets. Set the foil-wrapped fillets on the broiler rack. Put the rack under the broiler and set the timer for 10 minutes. 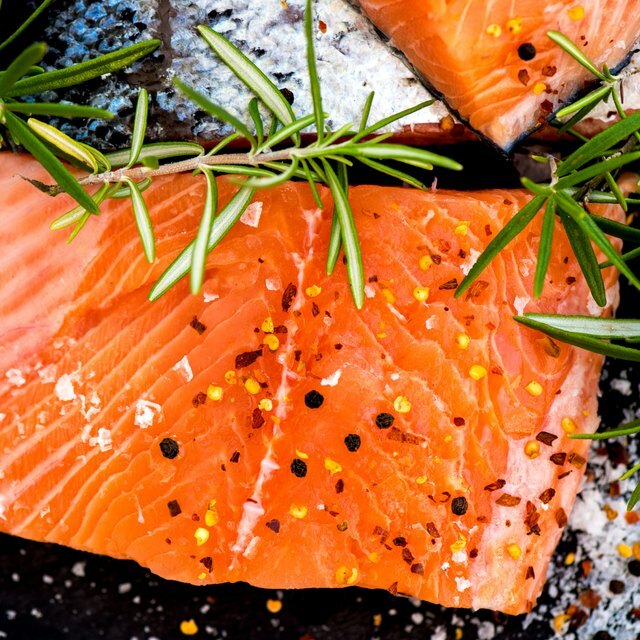 Remove the salmon from the oven when a cooking thermometer inserted into a sample fillet, through the foil, indicates that the salmon has reached an internal temperature of 140 degrees Fahrenheit. Unwrap each foil packet and set the salmon on plates or on a single platter. If you are serving your guests picnic-style, set the foil packets on their plates for them to unwrap. While the salmon broils, whip up a light buttery wine sauce or a fresh salsa to spoon over the juicy salmon, or to serve alongside the salmon platter. Unless your broiler is separate from your oven, choose sides that won't require oven-baking or roasting. Steamed or sauteed vegetables are ideal, as are stovetop-cooked starches such as egg noodles or rice pilaf. Use caution when unwrapping the foil packets. The foil itself will be hot, and will realize steam when opened. Can You Cook Salmon in Foil Instead of Parchment?